Home - Laurel Parnell, Ph.D.
Dr. Parnell is a leading expert on the therapeutic tool, eye-movement desensitization and reprocessing which is more widely known as EMDR. While Dr. Parnell has trained thousands of clinicians in EMDR both nationally and internationally, Dr. Parnell has also taught transpersonal psychology at California Institute of Integral Studies in San Francisco and was core faculty at John F. Kennedy University in the Graduate School for the Study of Human Consciousness. Currently, Dr. Parnell teaches EMDR through Alliant International University, Omega Institute, Esalen Institute, ID Institut in Kassel Germany, and the The New York Open Center. 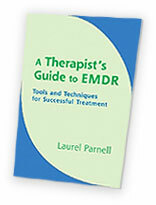 Dr. Parnell has written five books on EMDR and is one of the most respected leaders of EMDR trainings and EMDR workshops. 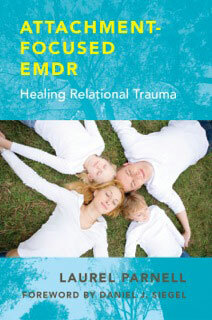 Her latest book is Attachment-Focused EMDR: Healing Relational Trauma. Considered a master clinician, Dr. Parnell has produced many videos of live EMDR demonstration sessions with volunteer clients. Now also available are home-study workshops eligible for CEs and EMDRIA credits. Every year, Dr. Parnell’s schedule of EMDR trainings and workshops takes her across the country and abroad. The online schedule includes training and workshop registration information. Members of the media and those wishing to arrange for additional training or workshop programs may contact Dr. Parnell directly.